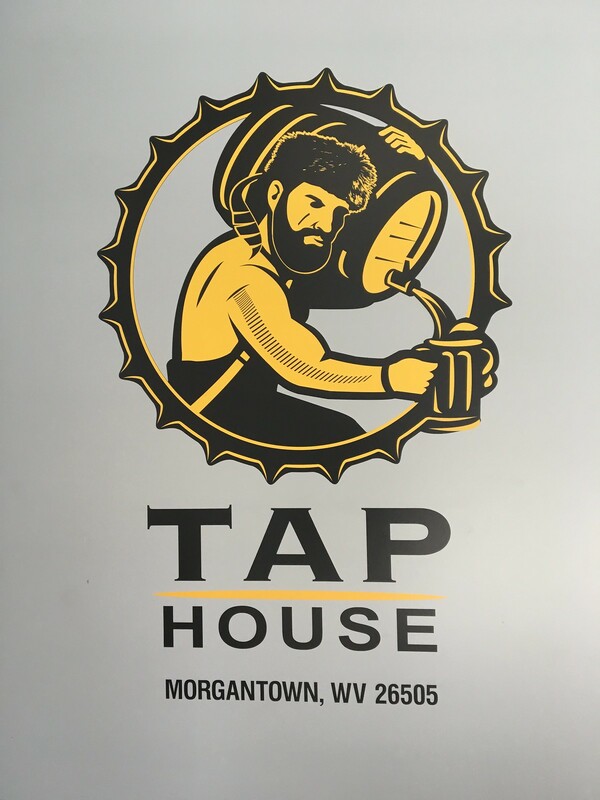 The Mountaineer Taphouse is a new addition to the Evansdale Campus - in a completely new building near the new University Park. 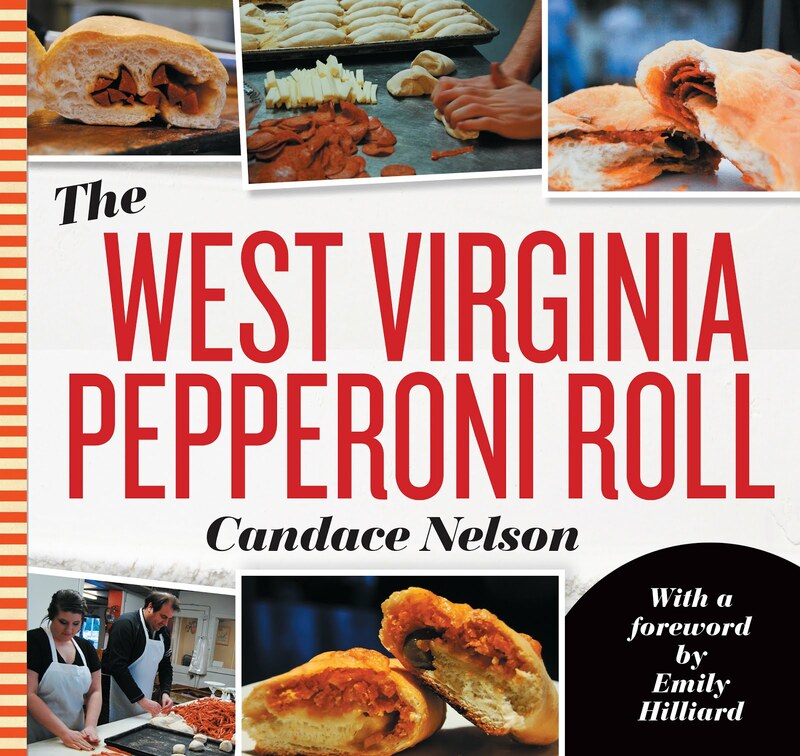 Lots of new in Evansdale. 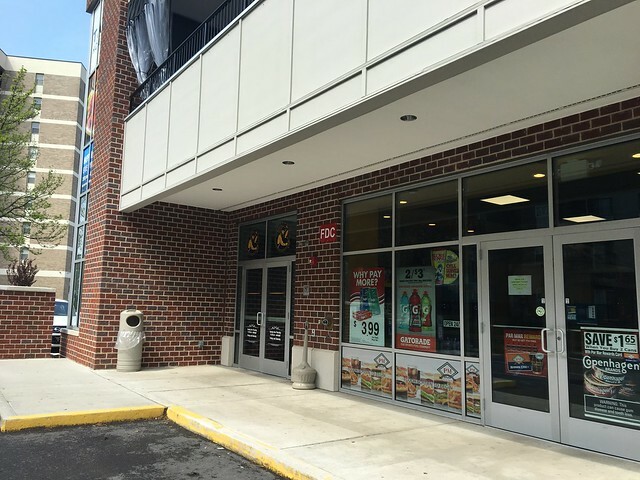 The location is actually on the second floor, so you enter near the convenience store and either take the stairs or elevator up - passing a cheeky pirate along the way. 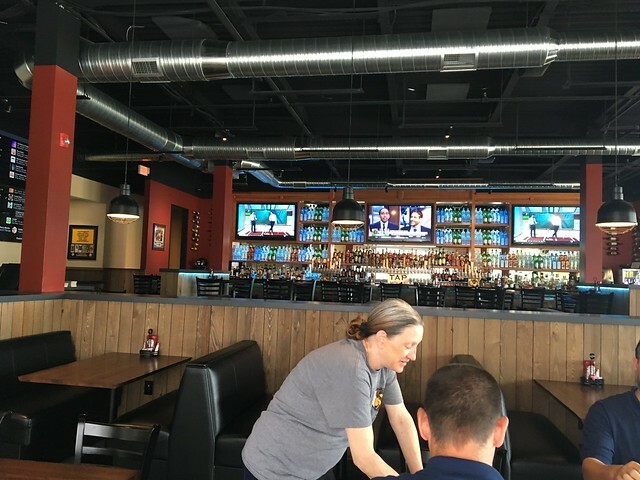 The inside has wood paneling, exposed metal duct work and a large bar. 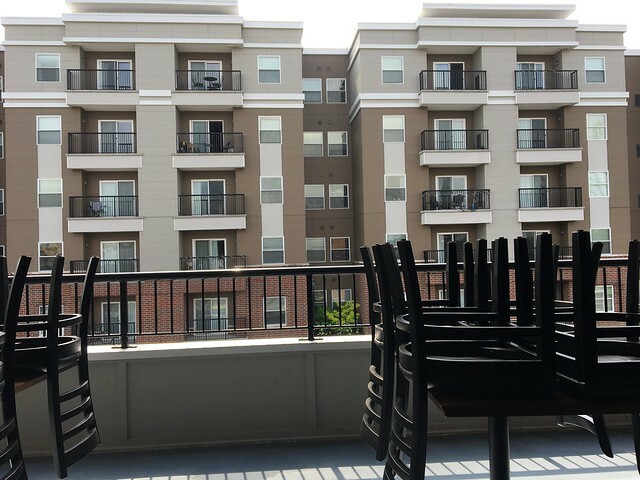 And the dining space expanded outside to a nice deck area, too. 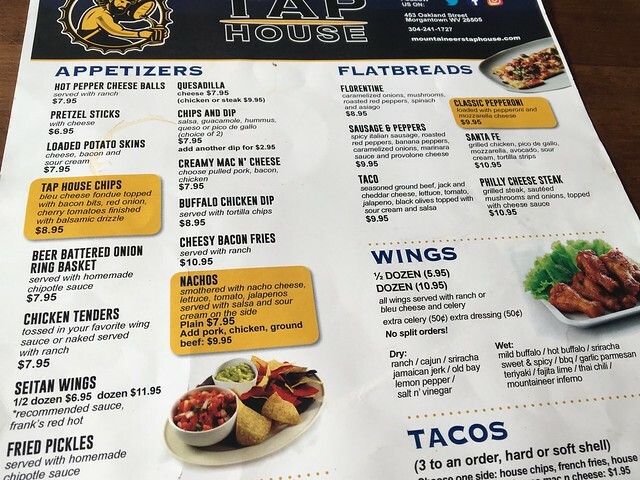 The menu has some standard bar features like fried appetizers, wings, and burgers. 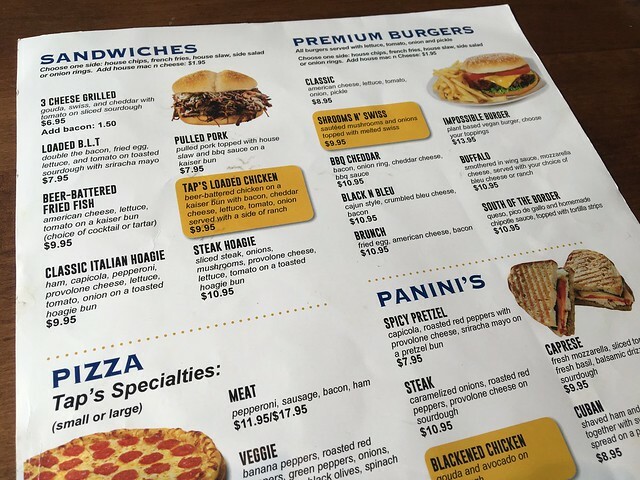 It also adds flatbreads, pizzas, paninis, and sandwiches. 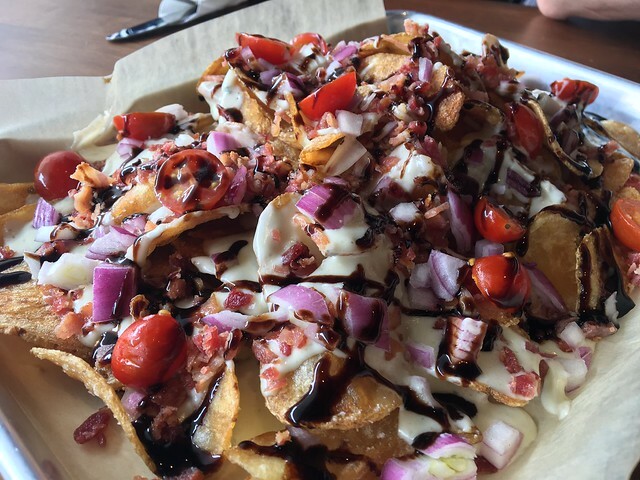 We ended up starting with an appetizer of "Tap House Chips," which was bleu cheese fondue topped with bacon bits, red onion, cherry tomatoes, finished with balsamic drizzle. 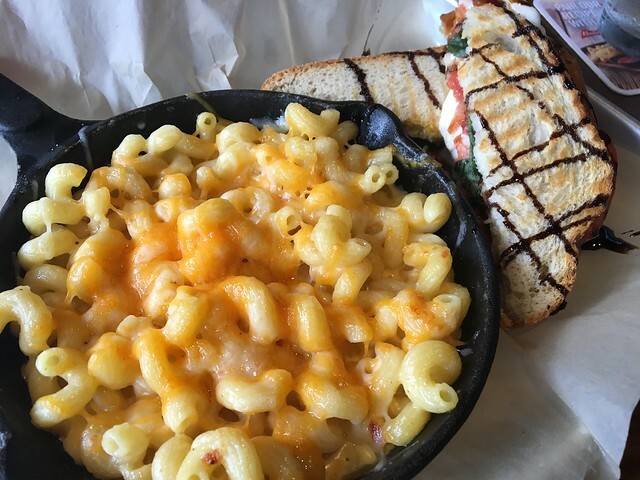 For my entree, I ordered the caprese panini and a side of macaroni & cheese.